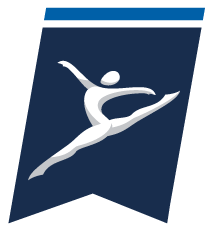 There are 82 NCAA member institutions that sponsor National Collegiate Women’s Gymnastics teams and are eligible to compete in the National Championship. All 82 programs support approximately 3,500 Women’s Gymnastics student-athletes across the country. The championship provides for a field of 36 teams determined based on their national qualifying score. Teams 1-16 are seeded by the NCAA Women’s Gymnastics Committee and the remaining teams are placed geographically at one of the four regional sites. Included in the championship field are also 12 all-around competitors and 64 individual event specialists (all of whom are not on a qualifying team). The 2019 NCAA Women’s Gymnastics Championship teams, all-around competitors, and individual event specialists will be announced the last weekend of March prior to regional competition. Four regionals consisting of 9 teams and approximately 3 all-around competitors (not on a qualifying team), and 4 individual specialists per event (not on a qualifying team) will be conducted at predetermined campus sites. The first round will consist of two teams, second round will consist of eight teams and the regional final will consist of four teams. Advancing from regional competition to the national championships will be a total of 8 teams and 4 all-around competitors and 16 event specialists. The top two teams, the top all-around competitors and the top event specialist on each event (who are not on an advancing team) from each regional will receive an automatic berth to the national championships. The NCAA Women’s Gymnastics National Championships will take place at the Fort Worth Convention Center in Fort Worth, TX. At the national championships, semifinal team, all-around competition and individual event specialist finals will be conducted in two sessions Friday, April 19. The top two teams from each semifinal will advance to Championship final competition Saturday, April 20. The team championship will be awarded to the team with the highest cumulative team score, with five scores counting per event. The all-around and individual event championships will be awarded to the individuals with the highest cumulative score during semifinal competition.